Local Cinemas – Support Them! I’m still currently working on rate my cinema and I was getting info on all the cinema chains (small and large) in the UK and some Irish) and getting customer service info etc, and when I was looking through the small cinema chains, I was just so jealous why? I live in a town which has a multiplex cinema but it wasn’t always like that. My hometown of Paisley 10 miles west of Glasgow right up to mid-1990’s the town’s cinema was The Kelburn which was located on Glasgow Road about 5 minutes walk east out the town centre. Glasgow road was the main road which goes straight through the town, a major bus route so it was easy to get to the cinema by bus or foot (10minutes). Then a lot of things happened like a mysterious fire broke out, the cinema was split from 5 screens (i think?) down to 3 with the other 2 screens been converted to a bingo hall. This period the cinema-going was at its lowest and places like Kelburn where a dying breed any these cinemas were been scrapped for inflated prices at the Americanised cinema complexes. Well I have to admit I worked at this cinema twice and it’s not the best cinema I’ve been to but it’s not the worse. The great thing about the multiplex cinemas is the wider choice of films on offer but with over inflated prices for everything from the ticket price, popcorn(which is a small portion, ok quality), coke that’s overwatered, screens with uncomfortable seating and at times cold or even too hot screen temps. I’m not saying the old cinemas are perfect, but their little faults were part of their charm and made what these cinemas who they are. The memories that are so strong to me are those going to local cinemas, not the multiplex’s, I can remember when a big film came out and going with my parents to the cinema getting to the Kelburn and having to queue to get in, sometimes the queue was that big it would stretch round into the cinema car park. Once you got in there was one little lady in a small compacted box office, you buy your tickets, I’m sure the box office had a small concessions stand so buy your popcorn, sweets and make your up the few carpeted stair into a slightly bigger foyer which I think had a slightly bigger concessions stand. From here up to your seats. I can’t remember if the ushers still guided you to seats, it was the 1980’s you sat and enjoyed the movie. During the movie, the usher would come down during the movie and stand with the ice cream you can buy. The ushers in these days weren’t your 18/19-year-old kids earning some cash to live on during college terms, a lot of the times the youngest usher could be in their mid 20’s usually a lot older. The other thing about Local cinemas the people who owned and worked in them are locals, the majority of them where not part of any chains and if anywhere part of chains usually local and the other cinemas would be in the local area as well. With a Multiplex cinema they are owned by major companies, sometimes part of Hollywood film studio’s groups, the staff are local but they have to what some head office 500 miles away and then they have to listen to some HQ 5000 miles preventing the cinema to have its own individuality. The other thing about the staff at a local cinema a lot of people would know them, or they are a local character but unfortunately, through experience working for a major cinema chain, they only want people who work like robots and everything else in their lives has to revolve through working for them. 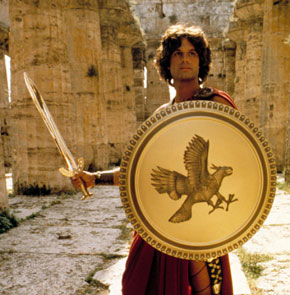 My earliest memories of films I went to see where the original Clash Of The Titans starring Harry Hamlin (LA Law), the great Sir Laurence Olivier as Zeus, this I believe is the first film I ever went to see in the cinema. It was 1981 I would have been 6 years old and from this film, I fell in love with fantasy films and what a movie with the legendary Ray Harryhausen who introduced the world special fx clay motion style monsters, there was no snazzy CGI this was real magic. My last memory of The Kelburn was going to see Ghost with Patrick Swayze and Demi Moore and it wasn’t the film I remember most it was 2 not obese but big women. Both where wearing really heavy winter type coats, the screen was fairly warm, there laughing was so false but funny, it was so loud it stood out a mile and so was there crying, but once again (I only seem to remember the childish things) one of them farted loudly at a quiet moment and they just burst out laughing and so did the other 200 people on the screen as well!!!. 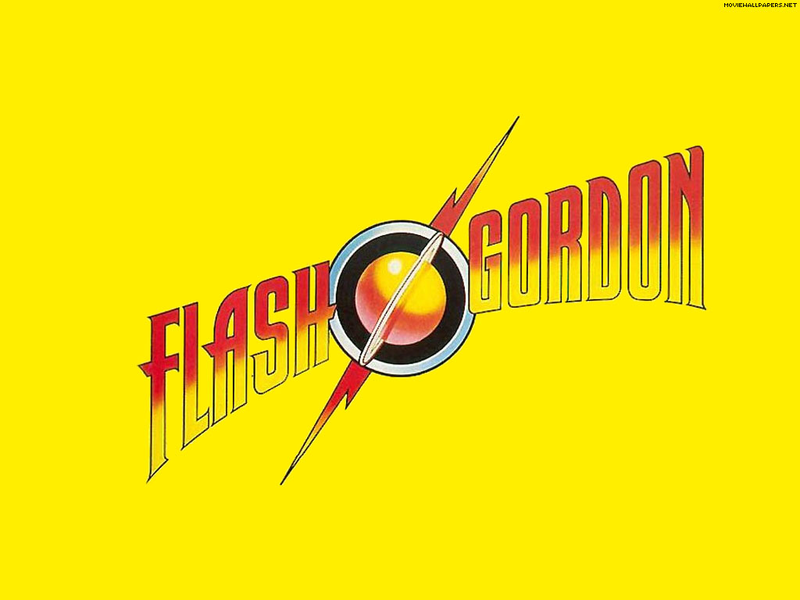 Other memories was watching Flash Gordon the 1980’s version in a outdoor cinema in Greece and going to Glasgow in early 1980’s to the Grosvenor cinema Ashton lane to see one of the airplane spoof disaster movies. So what memories do I have of a multiplex cinema? mmmm? Expensive tickets, poor snacks, robotic monotone staff, uncomfortable seats, having a whole screen to myself,etc….. The design of the local cinemas where always art deco style as the majority of them were built in early 1920’s, 30’s, 1940s some even earlier, multiplex cinemas? dull, boring, one style, no character, don’t get me wrong there are some exceptions. These little gems they where always easy to get to, most of them where in and around the town/city centre so getting there was easy, so multiplex cinemas 75% of them are out of town, which is ok for drivers but if you don’t drive and possibly a family you could spend loads of cash just getting there. My local cinema is officially not in my hometown but they have the cheek to say it is (when it opened they even called it Glasgow West, Glasgow is 10 miles away), its in Linwood it is also on the route of the worst bus service in the area (the service was the same before the cinema opened in 1997) and getting a bus after 6 pm is like getting blood out of a stone and the next nearest bus route is 15 minutes walk away. So when these big cinema groups say they have all the best interests of their patrons in mind did they consider not all of them can drive? I do however go to the cinema in Braehead which has fantastic transport links (even after 6 pm there still decent) plus the cinema is 100% better than my so-called local cinema. These cinemas will be in out of town shopping centres which I don’t have problems with but my local is in the middle of nowhere and constantly people complain or comment, they don’t care. When I was researching the Rate My Cinema project I went onto many of the cinemas/small chain cinema groups and I was full of jealousy. The cinema groups like Northern Morris based in Yorkshire & Lake district, I appluad you guys keeping the old art deco screens/ small halls serving the community you even run cinemas Leeds a big British city which has its fair share of Multiplex cinemas, you even give people a chance to learn the history of the cinemas. Merlin Cinemas (Devon, Cornwall, Norfolk), WTW (cornwall), Scott Cinemas , West Coast Cinemas, Silver screen, Hollywood Cinemas this list goes on and on. Wouldnt it be great if there was a national cinema chain which buys any local cinemas or even old empty buildings renovates the interior keeping the exterior, give character and life back to town centres, charge a set reasonable ticket price/ concessions. Let the cinemas run by locals (not robots) keep the individuality get involved with the community, wouldn’t that be great? I’m not saying these big cinema chains don’t support local communities, just listen to the patrons, understand them and understand that knowing your customers want before thinking £$$ first. I don’t have the privilege of going to a small local cinema, I have to choose large multiplex, I don’t hate them completely, going to watch a film is the main experience but having great staff who can chat to you without wondering if there been spied on from the managers big brother camera, enjoying reasonable price popcorn, snacks, and a decent priced tickets. I admit the cinema I go to I like but if your cinema is the small historical art deco Picturehouse support them, these magical places are whats left of traditional movie-going experience and if they go, well don’t want to think about it, SUPPORT YOUR LOCAL SMALL CINEMA! Next Post Astroboy new film ,is it a Americanizing of a Kids iconic classic animation?